Quote for him or her: You make me look forward to the next day. You make me look forward to the next day. And I absolutely love that. This lovable quote is all about that feeling you get when you’re together with someone who makes you feel so good in every single way that you look forward to the next day. And the day after that. A truly amazing feeling and it’s just one of the best things in life when you find someone who makes you feel this way. Do you have someone like this in your life? Then make sure you make him or her smile by sharing this quote! 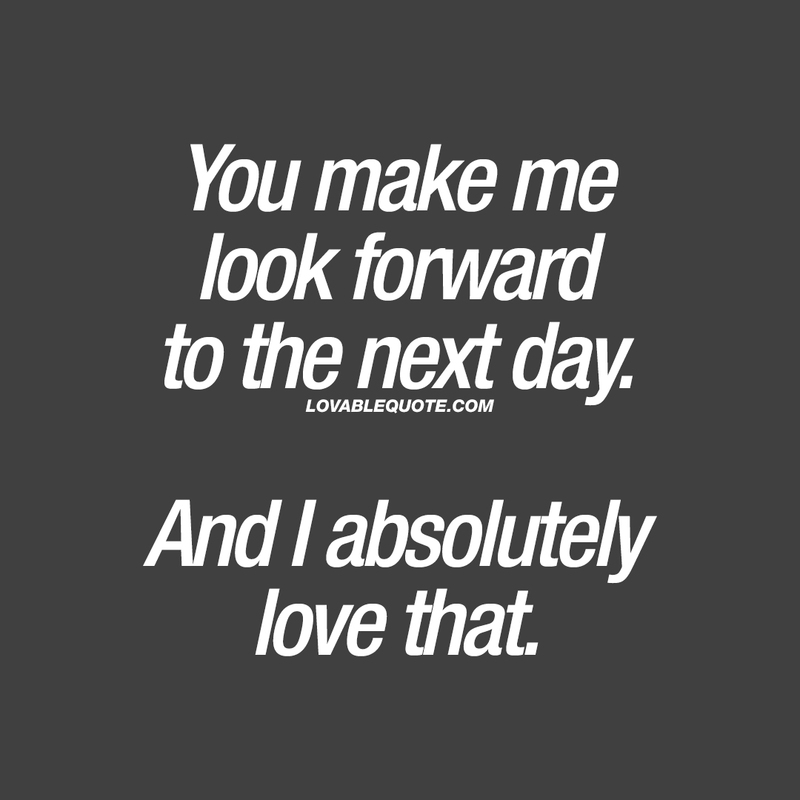 This “You make me look forward to the next day” quote (text and image) is copyright © Lovable Quote 2018.